After consuming a huge breakfast at 5 Point Cafe in the morning, I headed out to Woodinville, not far from Seattle proper. 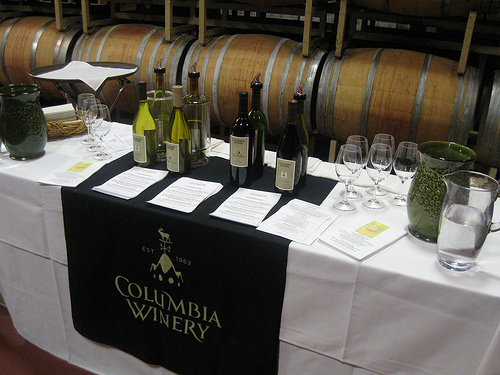 First, we hit Columbia winery where I got to try 6 different wines. 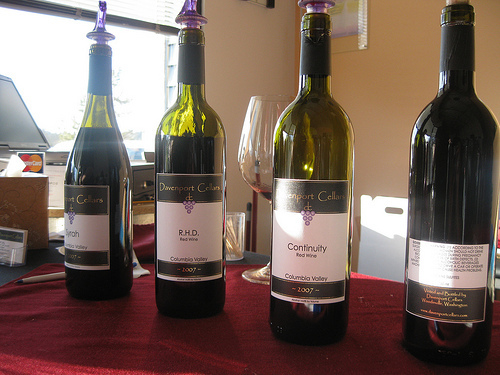 I later realized this is unusual as most wineries offered 4 wines to taste. 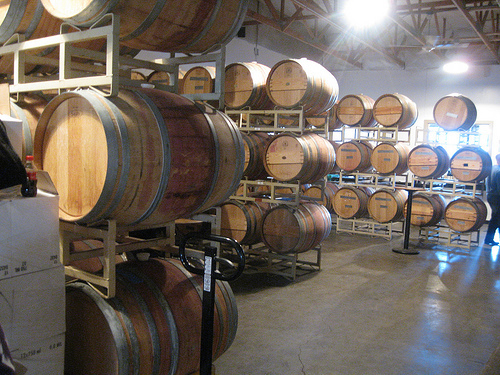 Most tasting rooms in Woodinville offer tastings for $5 but I was there as part of a tour group through Shuttle Express. Their tour is very convenient and I really liked the cushy seats of their “luxury 6-passenger coach.” The shuttles picks up from Seattle on Saturdays and returns you well plastered by early evening. The two other people on the tour with me were a couple also from L.A. In fact, they live 5 minutes from me and we quickly bonded over the fact and also because hilariously, we breakfasted at the same joint and their hotel was across from mine. Nicky and Dave were celebrating their 30th wedding anniversary and this wine tour was part of their celebration. 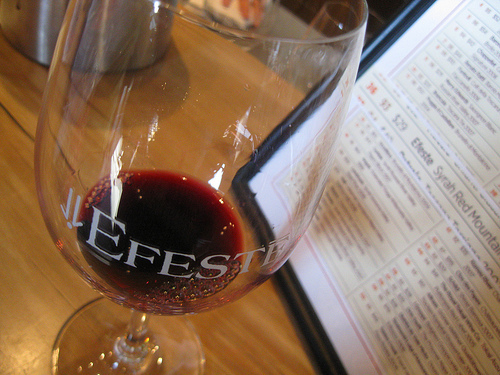 I enjoyed the zest for life from Efeste. Their Final Final is a red blend and quite nice. 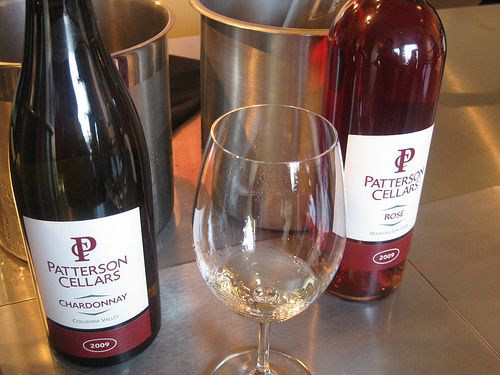 At Patterson Cellars, we were treated to a tour and wonderful wines. I loved their rose which had the craziest legs I’ve ever seen in a wine. A burlesque dancer would want these legs! 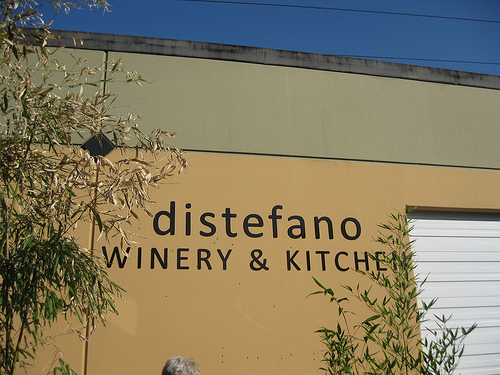 I wasn’t too into the Distefano winery. They were very busy and didn’t have time to explain their wines to us. However, they were good. 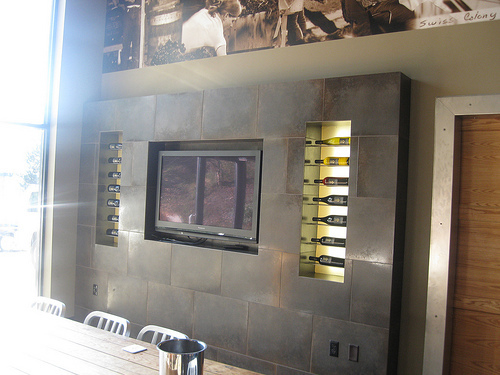 I wouldn’t mind going again if there wasn’t other huge groups in the tasting room. 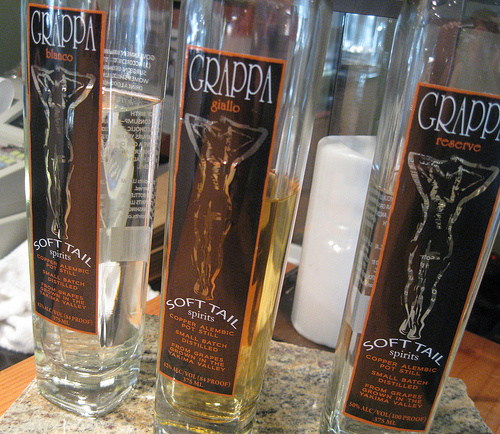 We got waylaid by grappa next door. 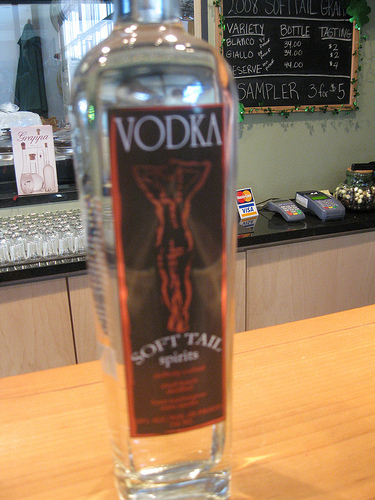 The fine folks at Soft Tail are known for their grappa but they were also introducing their first vodka. Made from Washington apples, I could clearly taste the apple. In fact, it tasted like caramel apples though it was not a flavored vodka. I was in love. I love how my picture focused on everything but the vodka. 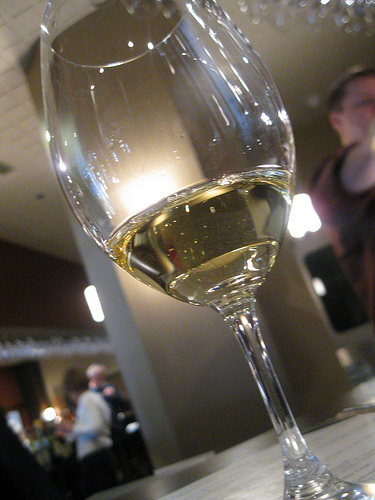 Or maybe that’s how I was seeing things after 4 wineries (having tasted over 20 wines by this point). 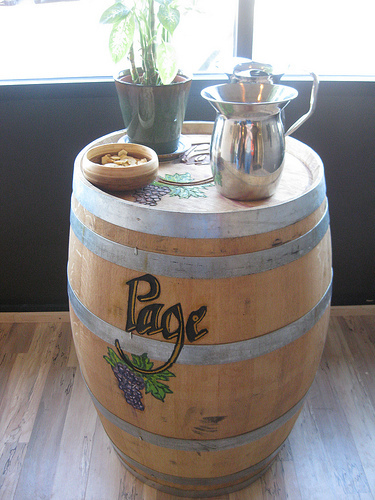 We still had time on our tour so we went to two more wineries in the Warehouse district, Davenport and Page Cellars. 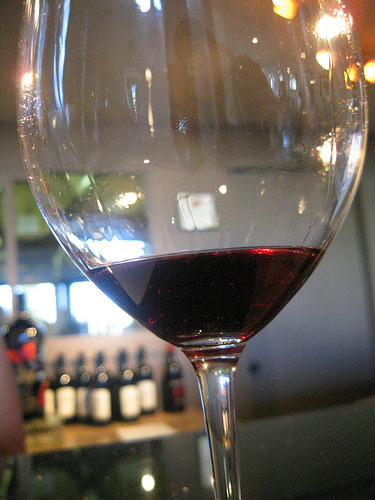 At Davenport, I enjoyed their syrah quite a bit but their other reds are quite palatable as well. 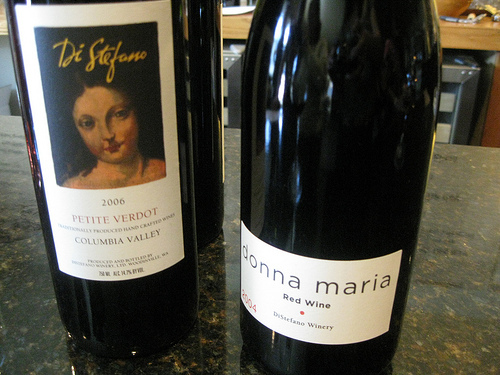 Although Page gave the smallest pours, we were quite satisfied since at this point, my companions and I had a pretty good idea of what Washington wines tasted like. In general, I liked the bold reds and the pretty whites quite a bit. 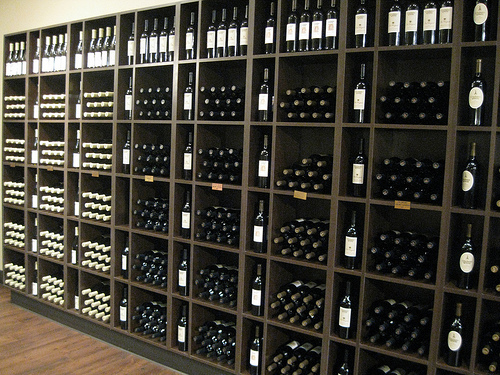 Up until this point, I was only really familiar with Chateau St. Michelle so I was very glad to try some new wines!